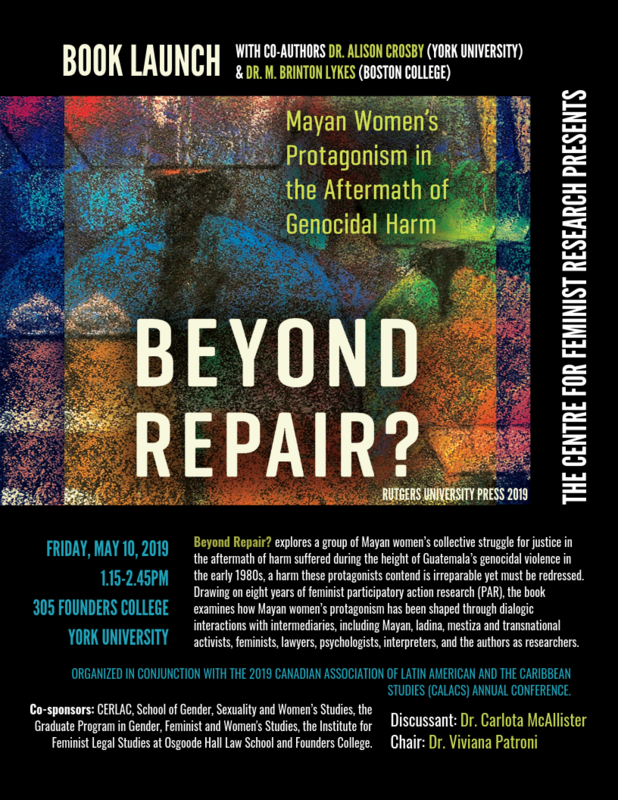 The Women’s Human Rights Forum is a charitable education and research partnership between the York University’s Centre for Feminist Research (CFR) and the Canadian Feminist Alliance for International Action (FAFIA). The Forum will create opportunities for Canadian Women’s Rights experts and advocates to come together across organizations and regions to consult and document the state of Canada’s compliance with its international human rights obligations to women and girls. As there is presently no civil society project that provides current and public reporting on the status of women’s and girls’ rights in Canada in this way, this Forum will establish such a mechanism and thereby meet a public interest need for credible, civil society reporting on the rights of women and girls. During 2016 and 2017, Canadian governments will be reviewed by United Nations treaty bodies for compliance with Canada’s obligations under two core international human rights treaties: the International Covenant on Economic, Social and Cultural Rights and the Convention on the Elimination of All Forms of Discrimination against Women. The Forum will hold two consultations to review Canada’s compliance with each treaty. The consultations will bring together women’s rights academics, professionals and activists from across the country to discuss issues such as pay equity; violence against women; the effectiveness of laws and practices to address domestic violence; the murders and disappearances of Aboriginal women and girls; the continuing discrimination in the Indian Act; the treatment of women prisoners; and cuts to legal aid. Forum activities will also include research to document the status of women’s human rights and the production of a public report following each consultation. To support the Forum’s work please consider making a tax-deductible gift. For more information about FAFIA and its women’s rights reporting work, click here.